Judy Diamond Associates | 401k and Employee Benefits Lead Generation and AnalysisJudy Diamond Associates, Inc. | Judy Diamond Associates, Inc.
#1 Go-To Source for Brokers & Carriers Prospecting Needs! Group Insurance 3.0 is here, packed with advanced features to help you win new business! Top carriers and producers choose Judy Diamond Associates for their sales prospecting and market analysis. Find and win new business with easy to understand Red Flags, Plan Score Cards, Performance-based Benchmarking and Sales Talking Points. Ideal for group retirement plan sales and marketing professionals. Secure a greater share of your market with current and comprehensive plan data, names, titles and email addresses for plan decision-makers with added LinkedIn integraton, and hands-on customer service. Ideal for employee benefits sales and marketing professionals. Find top brokers in your territory with the most accurate information about what they sell, whom they sell to and whom they sell for. 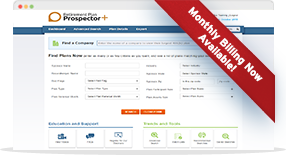 Ideal for carrier-level and broker-level sales and marketing managers. Increase your benefits and retirement plan market share with precise plan data and competitive knowledge. Here’s why our benefit plan data quality makes all the difference. Stay up-to-date with our news and research and learn about product updates as soon as they're available! We’re always here to help you decide which tool is right for your business. Our friendly team will help you find the right tool. You could be logged in within minutes. All subscribers are invited to our free webinars.